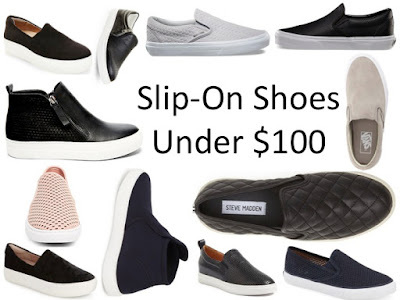 I've been loving the trend of the slip on shoe. They're perfect for transitioning from Winter to Spring. Lately in Atlanta, it has felt like Spring weather with temperatures getting up into the high 60s I'm loving the weather change. These shoes will serve well during the transitional times of the season. Which pair is your favorite? Are you in love with this trend? I'm with you. I love them all. Those quilted Steve Madden ones are adorable!